At this time I was co-habitating with my man in a fabulous flat in Balaclava, still working part-time at a city gift shop and still making and selling hand-made cards part-time. I was thirty-three years old, happy and excited about life. Glasses, although by now a necessity for the close work I was doing with my greeting card designs, were not a fashion priority. I got the cheapest frames available. Even in 1995, I cannot imagine these glasses were stylish. My only excuse for putting up with these ghastly lenses, apart from wanting to keep my money for more important things, like travelling, is that I never wore them outside of the house. On the day I collected them from Chadstone Optical, I, of course, headed to a photobooth to record the momentous occasion of the beginning of my slow optical decline. It’s funny – when I try to characterize ’90’s’ fashion, I can’t really think of anything beyond the Doc Martens and plaid shirts I used to wear in high school. 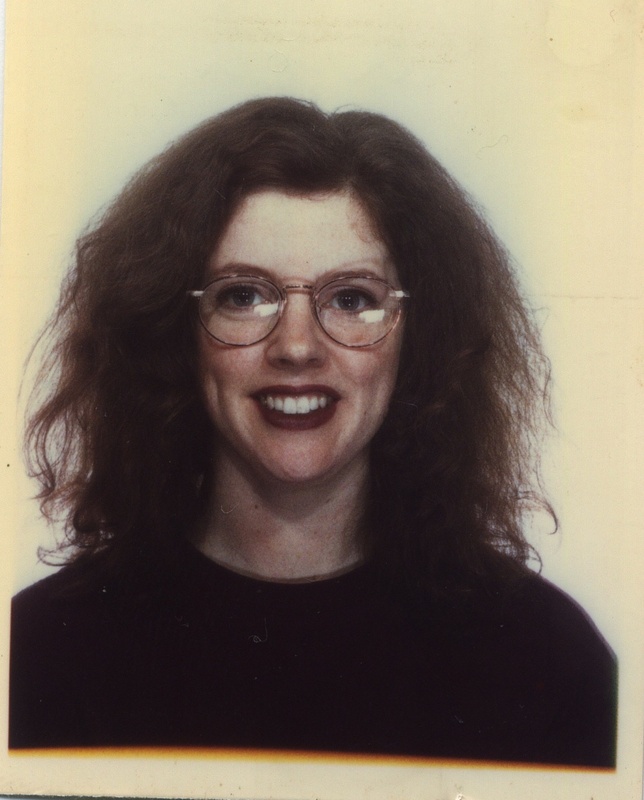 I remember glasses like these though (I may have even had a pair of frames very similar!). No idea if they were fashionable but you look good in them. Yes, oil paint (and other art supplies) is a MUCH better investment than fashionable things. Mind you, if I didn’t have to choose so carefully what I do with my $$, I’d be a Fasionista like Lee Lin Chin. She is soooooooo cool.